Is snow in the forecast? Here are some engaging science, reading, and writing resources to share with parents. Winter is here, and for parts of the country snow is in the forecast. Although most teachers love a snow day here and there, prolonged closures disrupt the flow of learning and prevent teachers from introducing new material. So what can educators do? Beyond sending assignments home with students, there are plenty of engaging, interesting winter-themed projects, activities, and exercises to share with students and their families. 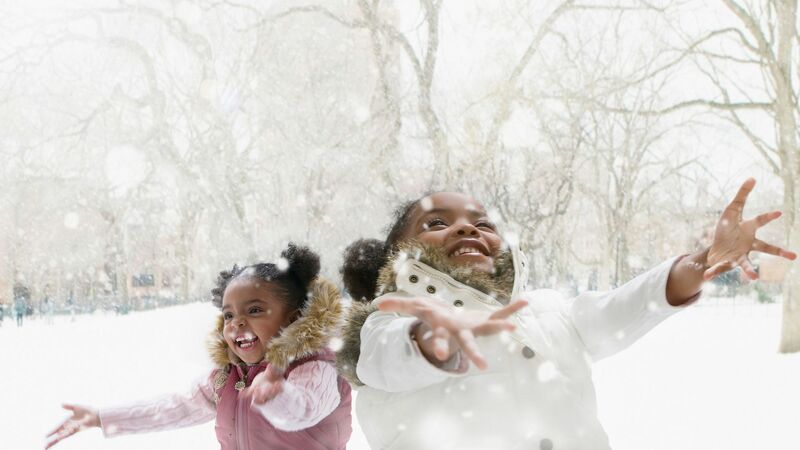 From winter reading to writing prompts and fun science explorations, these fun lessons and activities offer a great way to keep students engaged during unexpected breaks. How Do Avalanches Form? Lesson Plan: PBS LearningMedia’s lesson provides students a chance to explore how and why avalanches occur. A short video lesson with accompanying text provides a clear explainer on unsafe snow conditions. Plus, Discovery Education’s Avalanche! lesson lets students simulate an avalanche using around-the-house items, a fun learning activity for a snowy day. The Science of Snowflakes Lesson: This TEDed video gives kids a brief, insightful overview of how snowflakes form, with accompanying discussion questions. For elementary students, it’s a great way to introduce or reinforce water cycle concepts. PBS LearningMedia’s Physics of Snowflakes lesson provides a fun activity for exploring the fascinating science of how snowflakes form. Polar Science Reading Resources for Students: Beyond Penguins and Polar Bears, an online professional development publication from the Ohio State University, is designed to help elementary teachers teach polar science. The student stories section provides students with a chance to explore a number of polar science concepts, from polar geology to igloo engineering. Each story is designed for K–1, 2–3, or 4–5, and most have accompanying activities. At-Home Ice Science Projects: In this lesson from Science Kids, a New Zealand–based science learning site, students experiment with how salt affects the temperature of ice. Another great lesson from Science Kids, Will the Ice Melt and Overflow?, encourages kids to test a hypothesis about ice melt. General Science Mini-Projects From the Exploratorium: “Science Snacks” features exciting science mini-projects and activities students can do at home. All of the teacher-tested ideas use cheap, around-the-house items. A range of topics are covered, and there are lessons for students of all ages. 5 Writing Prompts About Winter: WriteShop has some fun writing prompts for snowy days. From “snow-crostics” to writing about winter memories, this resource offers a quick explanation for each and can help get the creative juices flowing. Winter and Holiday Reading Passages: ReadWorks offers winter-themed reading passages for K–6 students that test comprehension. All the passages are available for download (but require users to sign up for a free account.) Many of the passages relate to the earth and life sciences. All About Snow Reading Resources: The National Snow & Ice Data Center’s “All About Snow” section features numerous articles about snow science, winter ecology, and winter weather. This is a wonderful resource to share with curious kids, and it offers a great starting point for exploring many different subjects. These are just a few winter-themed resources out there. Here’s a list of some additional links that are worth a look.